The No Name Invitational is back! 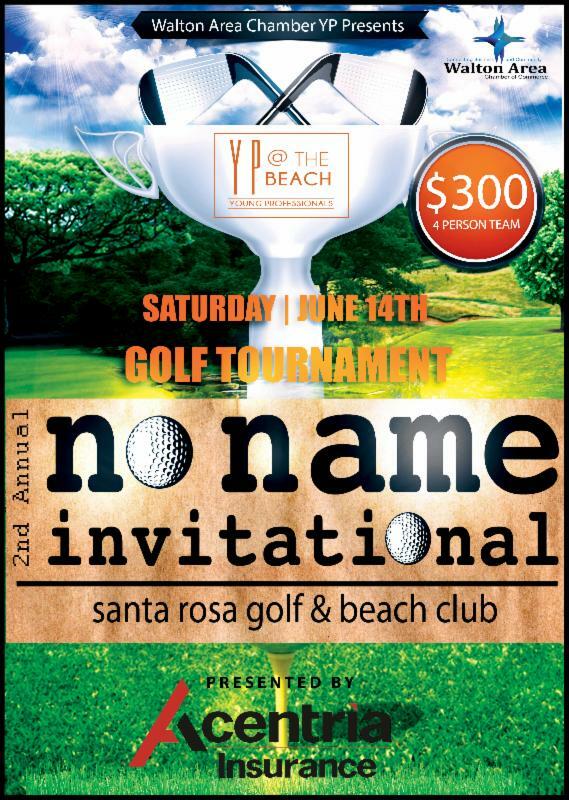 Join the Young Professionals at The Beach for a fun day of golf at Santa Rosa Golf & Beach Club Saturday, June 14th! Mark your calendars and gather your teams - space is limited! Don't play golf? Join us at the After Party at Vue on 30a - be sure to check out the silent auction & raffle! Proceeds from the tournament benefit Youth Leadership Walton. Thank you to our Presenting Sponsor, Acentria Insurance!